Even though there is an iPad supply shortage at the moment that is directly affecting iPad sales, there is no shortage of iPad apps hitting Apple’s App Store. 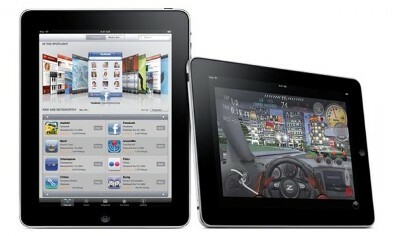 As of Thursday night, Apple’s App Store has exceed 7,000 iPad apps that are available for download. Some of the iPad apps are free, and some not so much. But there is no doubt that Apple’s App Store is on a very aggressive growth scale for iPad apps. Apple has now exceeded adding 7,000 iPad apps in less than 7 weeks, averaging approximately 1,000 apps per week which were uploaded by developers and approved by Apple since the iPad’s launch on April 3rd, according to Pad Gadget. Let’s compare the iPad app’s growth rate to the iPhone apps growth rate in the same time period. The iPhone app store was officially opened on July 11th, 2008 and within approximately 90 days (3 months), there were 3,000 apps available. Comparing the iPhone app growth rate to the iPad app growth rate, it has only taken about half that time (approximately 1.5 months) for Apple’s app store to have the equivalent amount (3,000) of apps for the iPad. So basically, iPad apps are being created twice as fast as iPhone apps were in the same comparative time frame. Based on the current rate of iPad apps being accepted into Apple’s app store, the iPad should hit the 10,000 app level sometime next month (June 2010). Now all the world needs is for Apple to fix their iPad supply problems so that everyone can start using all of these awesome iPad apps!